As sister brand to Haribo, Maoam was introduced to the UK market in 2001 and has experienced significant year on year growth ever since, becoming one of the UK's leading soft and fruity chew brands. International sales of sugared sweets and chocolate continue to rise at a steady pace as the demand for confectionery in developing regions such as the Asia Pacific region and the Middle East rises. 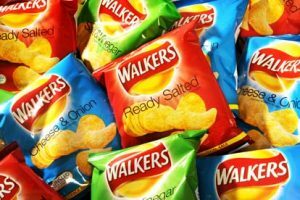 Despite suffering from both falling numbers of users and a slight drop in volume sales, value sales within the crisps, nuts and salty snacks market continued their upward trend in 2011. The trade fair was a resounding success for the 1,412 suppliers who exhibited at the 42nd International Sweets and Biscuits Fair (ISM) in Cologne from 29th January to 1st February 2012. What can the industry expect from new Spanish confectionery association Produlce? Five associations of the sweet market have become together into a new association, the Spanish Confectionery Association (Produlce). Does the industry use loopholes to advertise to children? According to the Children’s Food Campaign (CFC) and the British Heart Foundation (BHF), junk food companies are using loopholes in advertising rules to bombard children with unhealthy food messages online. There seems there is little sweet news for the European confectionery market at the moment.